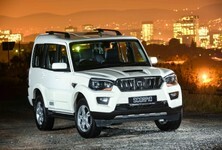 Improved refinement and greater attention to detail in the cabin has improved Mahindra's rugged Scorpio even further. We took it for an extended drive down the KZN coast. In a nutshell: At the price there isn't another 8-seater SUV with four-wheel drive (including low-range). But price isn't the Scorpio's only attraction – its powertrain is more refined than you expect and it also feels solidly built. The new grille, headlamp and foglight changes combine to give the Scorpio's front-end quite an aggressive appearance. 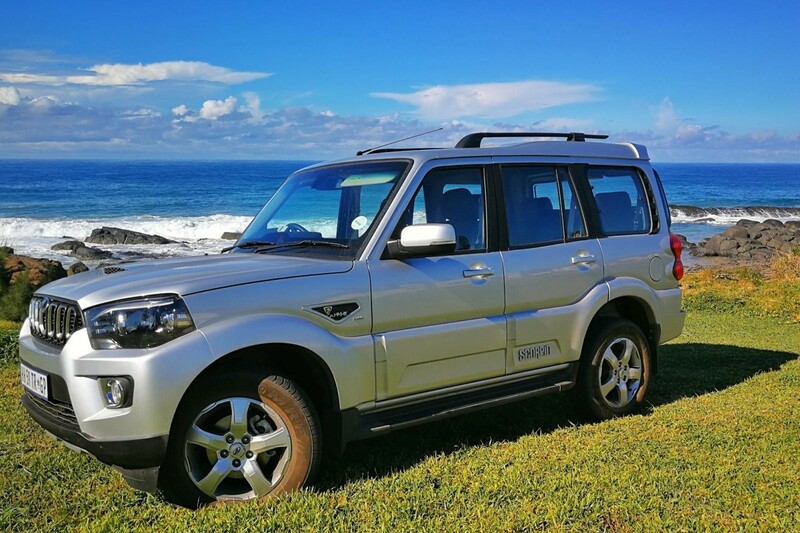 Mahindra's Scorpio may be no spring chicken but continuous refinement has seen it become quite a popular (and cost-effective) alternative for adventurous families in need of a rugged, spacious SUV. The latest S11 derivative, as reviewed here, features a number of small, but ultimately very worthwhile changes compared with its S10 predecessor. Visually, there's a new grille, tweaks to the head- and taillamps, foglights, side mirrors, rear step, tailgate and also a new-look alloy wheel. Inside, the previous car's lighter trim has been replaced by black semi-leather which doesn't only look more upmarket, but also shouldn't show dirt so easily. There's also a practical new slot in front of the gear lever with a charge point. Mechanically there are no changes. Neat facia design and good build quality evident in the cabin. Darker seat trim also an improvement. 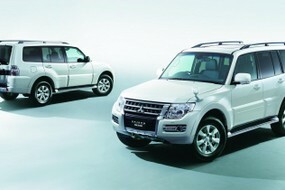 Nevertheless, its boxiness has advantages, notably in terms of cabin space and practicality. Inside, the upright windows and box-like design result in a very spacious, airy cabin with great outward visibility. It really should be a very a good safari vehicle. 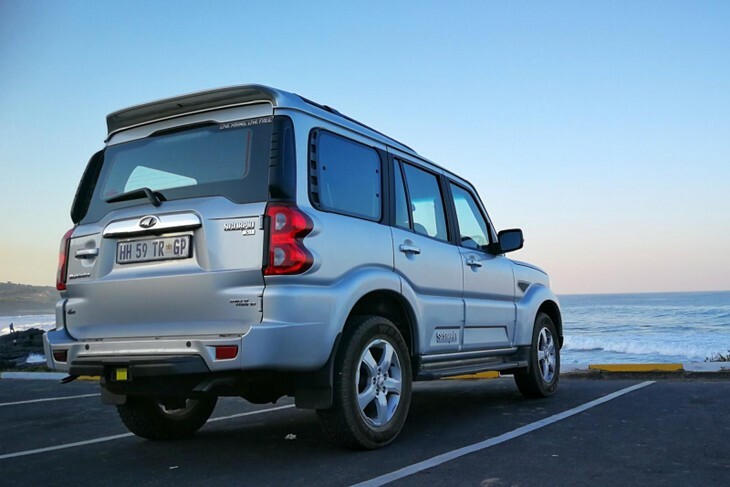 It also packs 3 rows of seats into a fairly compact body – the Scorpio is more than 300mm shorter than a Toyota Fortuner. The difference is that the rearmost row is a bench and not 2 individual seats, which makes the Scorpio an 8-seater. 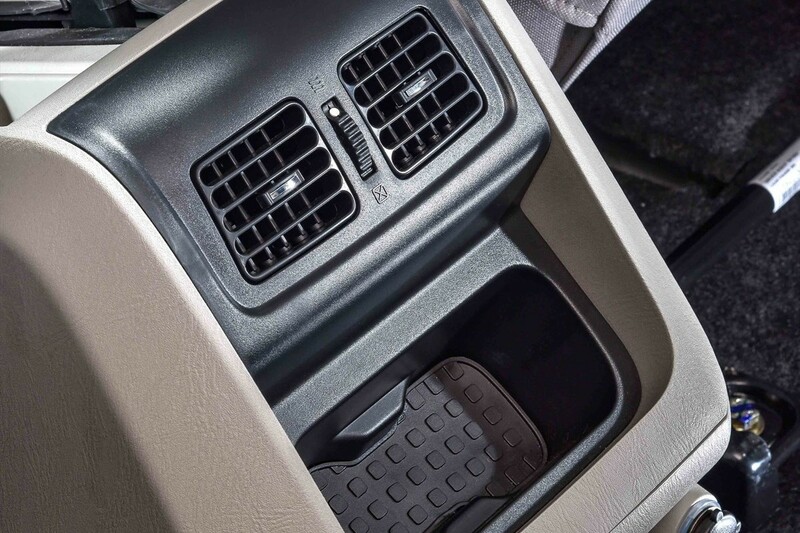 Second row passengers get their own ventilation outlets and a neat, rubberised storage area. Of course, with 8 occupants on board the space for luggage is actually negligible and those in the 2nd row will have to slide their seats quite far forward to allow those in the back some kneeroom. During our time in KZN, we chose to remove the third-row bench completely (an easy-enough exercise) and leave it at the hotel, which frees up a LOT of packing space in the boot. What will also appeal to consumers that need a vehicle such as this (and at this price), is the fact that the Scorpio is by no means a bare-boned, agricultural machine. You get a 6-inch touch-screen infotainment system (USB/aux/bluetooth and DVD compatible), navigation, rear-view camera, remote audio controls, cruise control, rear park sensors, auto wipers, electric windows all-round and climate control, among other features. Neat, modern instrument cluster and multi-function leather-bound steering wheel are standard. On the safety side the specification is not as comprehensive, which is to be expected given the inherent age of the platform and the price. Included are dual front airbags and ABS (with EBD). We would've liked to see the addition of at least ESP (electronic stability) to that list. Niggles? Well, the front footwells are quite narrow and the steering wheel lacks reach adjustment. 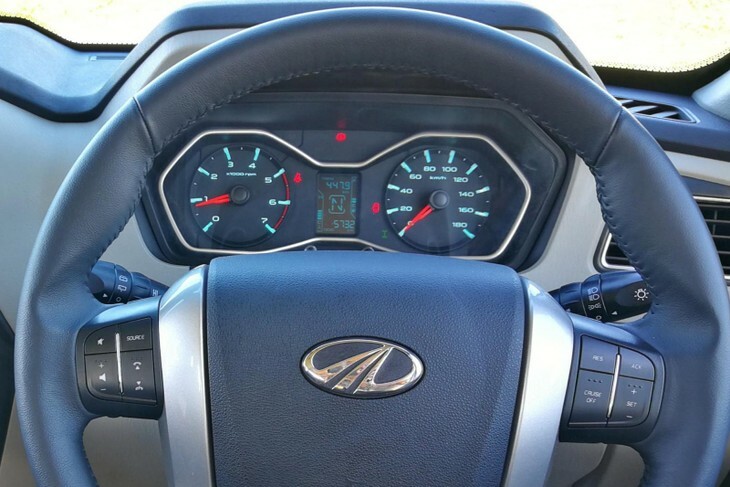 The touchscreen is perhaps also mounted too low, and it demands the driver taking his/her eyes off the road for too long to operate. 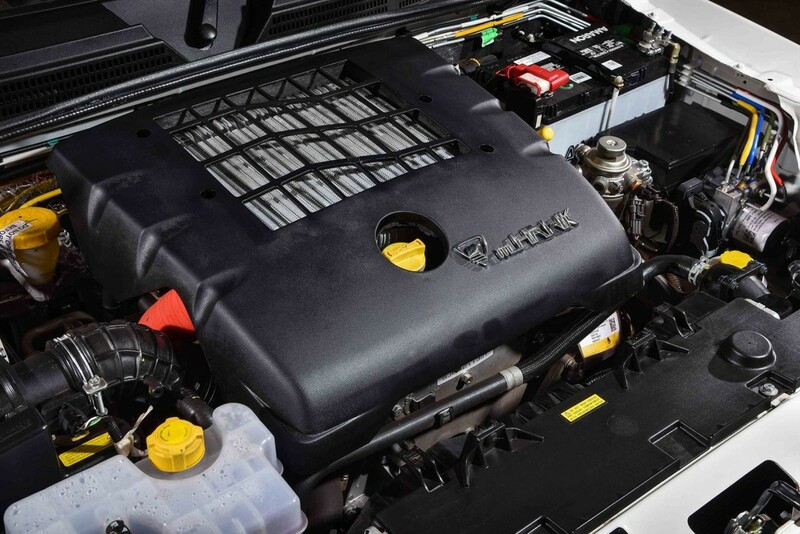 The 2.2L turbodiesel engine delivers its impressive power (88kW) smoothly. It's more refined than most people expect. 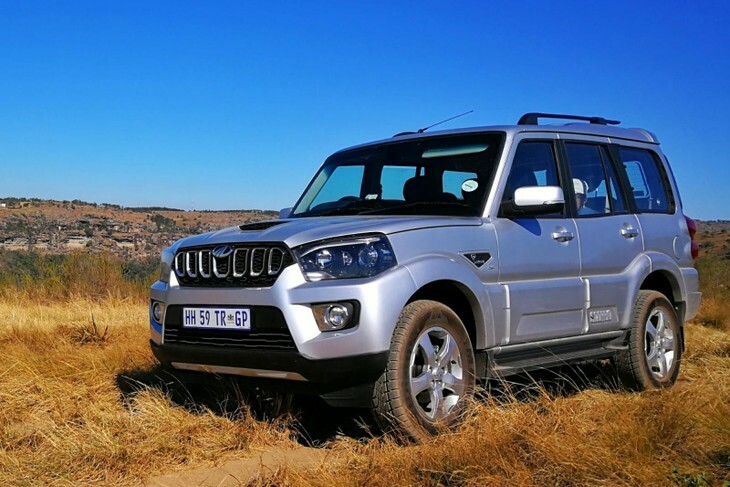 As was the case when we evaluated the facelifted Pik-Up (essentially a double-cab bakkie version of the Scorpio), we came away impressed with Mahindra's 2.2L turbodiesel engine, even though it isn't the same 103kW/320Nm version used in the Pik-Up, but rather a lower-output 88kW/280Nm variant. The towing capacity (1900kg braked) might be too low for some potential customers, but if that's not a barrier to purchase we suspect most owners will be more than happy with the blend of performance and efficiency. Mahindra claims a combined cycle fuel consumption figure of 7.3L/100km and we achieved 8L/100km during our week of travel with 4 occupants on mixed terrain and highways/gravel/rural roads. The Scorpio's tank size is 60L, so a range of over 700km should be achievable. We think the fuel consumption could possibly be even further improved by the addition of a 6th gear. 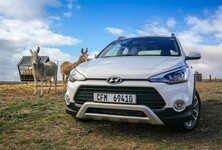 Stubby front-end and four-wheel drive (with low-range) is good for off-roading. 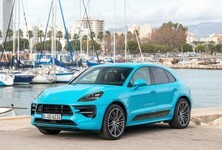 The engine is mated with a 5-speed manual transmission (old-school long throw but feels strong) that drives the rear wheels, but shift-on-the-fly 4-four-wheel drive is part of the package. In fact, there's low-range too, so you could traverse reasonably rough terrain in this Scorpio. Mahindra quotes a ground clearance of only 165mm, but this appears to be an error. We suspect a figure well above 200mm applies. With a commanding view of the road, great outward visibility and a soft ride set-up, the Scorpio is a relaxed touring vehicle. 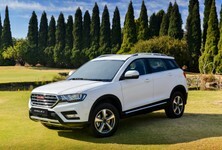 It's very different to more modern sports-oriented SUVs in that it encourages the driver to take it easy... Nevertheless, recent suspension changes has not only made it more refined, but also more stable. It resists overt bodyroll well and the steering is nicely weighted. LED "eyebrows" and new-look 17-inch wheels are modern additions to a design that dates back to 2002. We traversed some fairly rough gravel sections, too, and here the extra ground clearance and suspension set-up certainly came in handy. 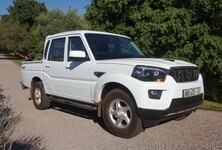 In fact, the Scorpio seems a very good fit for an owner that will travel on mixed surfaces daily. The engine is a refined, smooth offering so combined with the last round of sound deadening improvements, the result is a largely quiet and relaxed cabin ambience. Only wind noise can become intrusive due to the boxy design and upright sides. The wind was howling on our first day in KZN and on a few occasions it managed to actually make the insulating door rubbers pull free of the door aperture at the top. 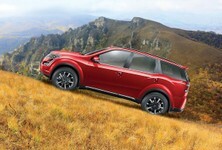 Need an adventure SUV on a tight budget? 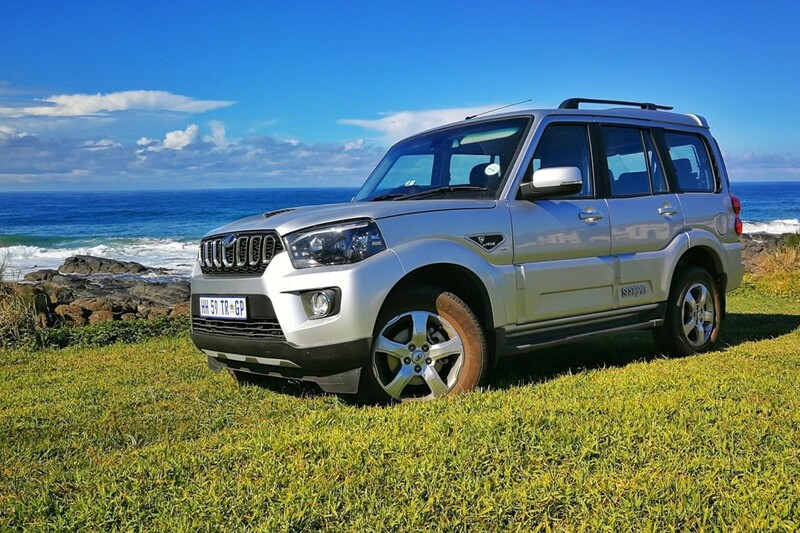 The Mahindra Scorpio S11 4x4 has no obvious rival in the new vehicle local market. 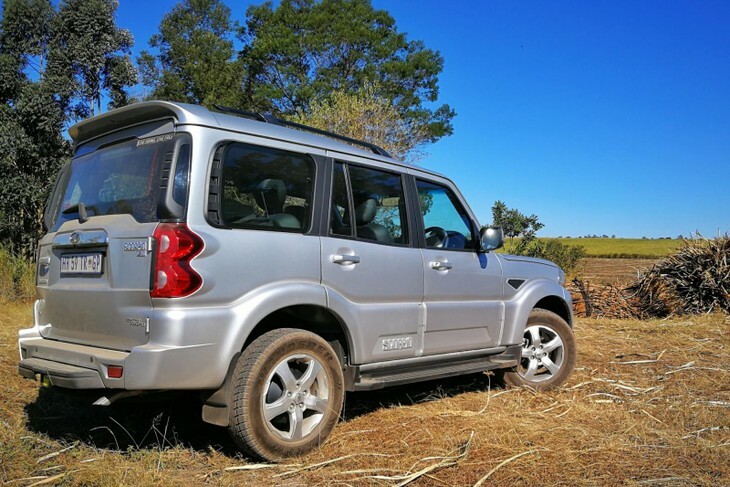 Priced at around R320 000 it's hard to beat this Scorpio S11 for value for money, particularly if you want space and four-wheel drive. 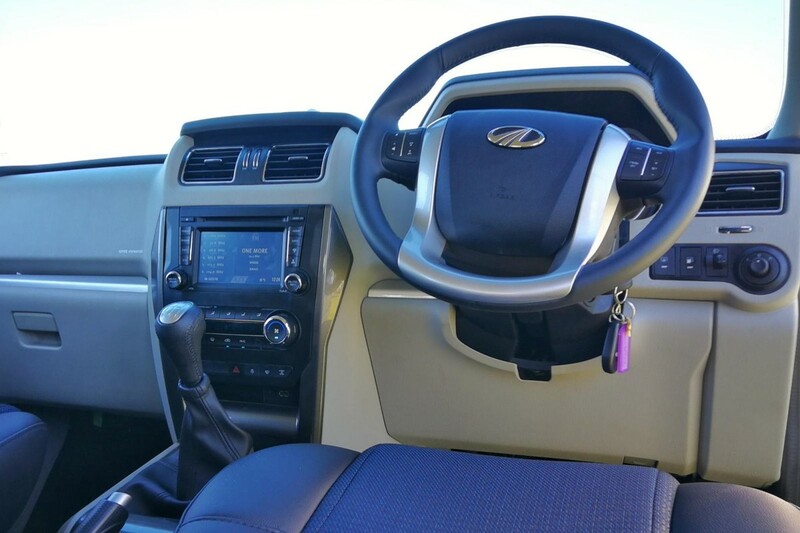 GWM no longer offers an H5 with four-wheel drive, but even if 4x2 would suffice, the H5 lacks the Scorpio's seating capacity and features. Then there's something like the outgoing Renault Duster diesel 4x4, but that's a much smaller vehicle... Alternatively, you'll have to consider a used vehicle – for similar money you can get a 3- to 4-year old (previous shape) Toyota Fortuner 3.0 D-4D 4x4 with more than 100 000km on the odo. Further sweetening the deal, the Scorpio comes backed with a 3-years/100 000 km warranty and 3-years/70 000km service plan as standard. Servicing intervals are lengthy at 20 000km. To summarise... you may end up buying a Scorpio because of its exceptional pricing, but there's more to it than that. 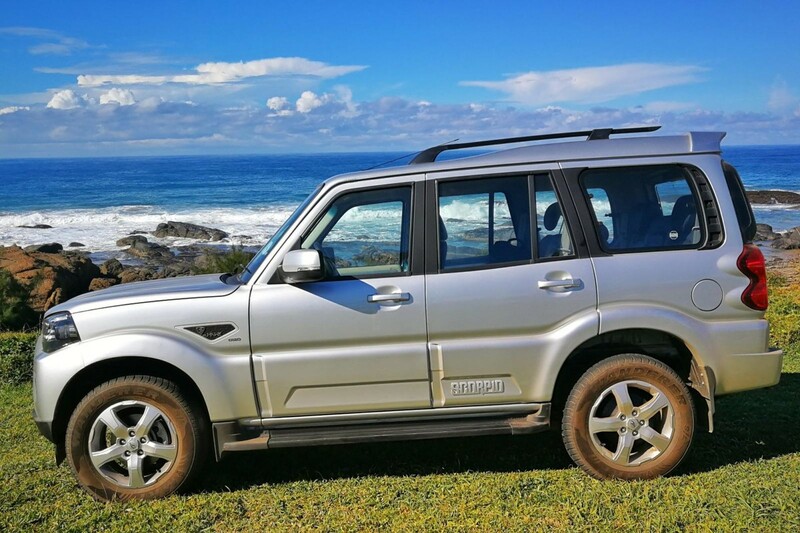 Rugged, surprisingly refined and efficient, while offering good potential seating space/practicality for a variety of uses, the Scorpio S11 is possibly one of the few cars on the market that could genuinely be described as a bargain. Looking to buy a new / used Mahindra Scorpio?